We have a winner of our March Sports Madness challenge & hop! Thanks to all of you that commented and entered our challenge! We really love seeing your creativity and enjoy all of your wonderful comments. great page, and look at his hair! Please send your mailing info to ange@gotmoxxie.com and let me know which line you would like. So we can get your prize out to you asap. Make sure you come back Friday for our next Challenge and blog hop!! Spring is in the air and you will LOVE what our designers have to share with you! Hello! 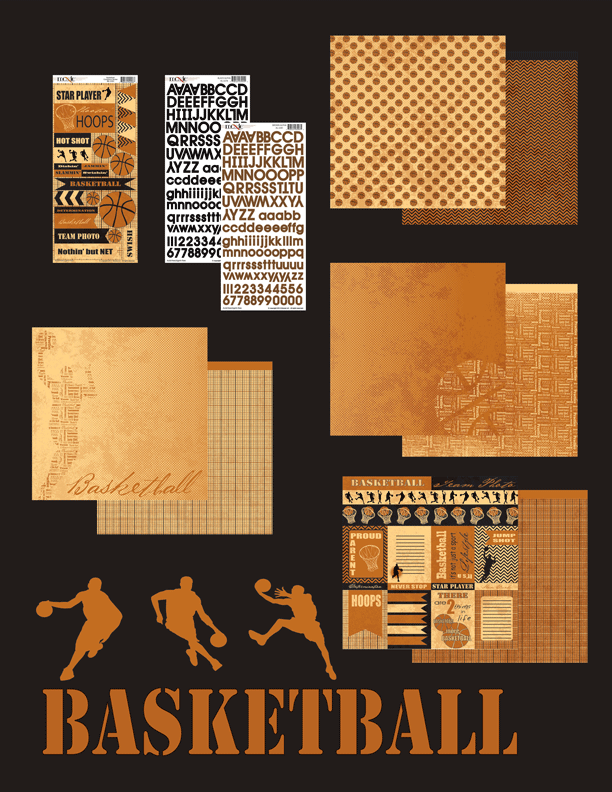 Samantha here today with with a 2 page layout featuring Moxxie's new release Basketball. We love to play basketball, so I have lots of photos of us shooting hoops. Two page layouts are a great way to get a lot of photos all in one place. 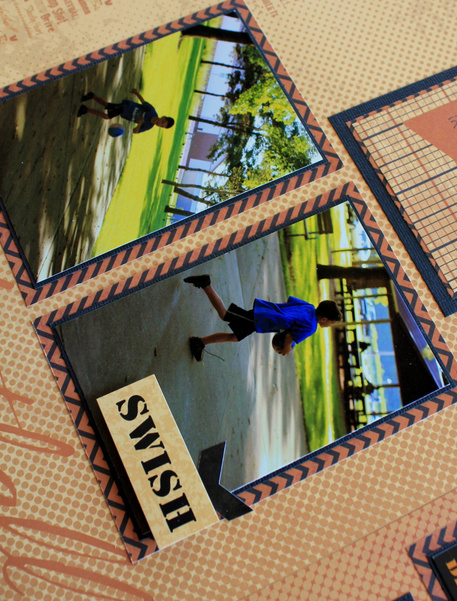 To make this layout come together easily, I worked with the Basketball title already printed on the paper. To make the basketball player pop a little more, I added a "real" basketball from the stickers. I cut the PLAYTIME title with my Silhouette Cameo. I also layered a few stickers over the photos. 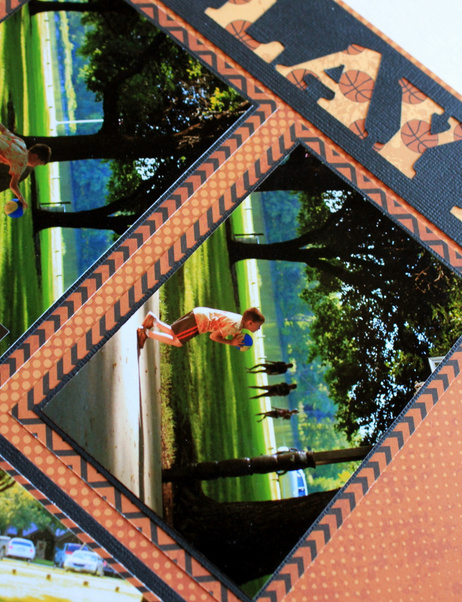 Framing the photos with some card stock and patterned paper adds a finished look to the layout. And the crowd goes wild for Moxxie's new Basketball line! I cut down my basketball sheet by 1/2" on a side and 1/2" on the top and then centered it on a sheet of cardstock. Then added some brads and the cardstock stickers. I did some outlining with a black pen around some of the stickers to really make them stand out, like these banners. I also used some of the black alphas for the date. Today we are showcasing two lines! To start us off we have Fun Run! Here's another awesome #chashow booth picture for you. Did you swing by #2859? This line got a lot of attention at #cha2015. Every paper in the line is at work on this layout, they work so well together! Add some fun dimension with foam adhesive, outline some of the cardstock stickers and alphas to make them pop more and you've got a great layout. I am loving these fun photos of the booth at #cha2015! 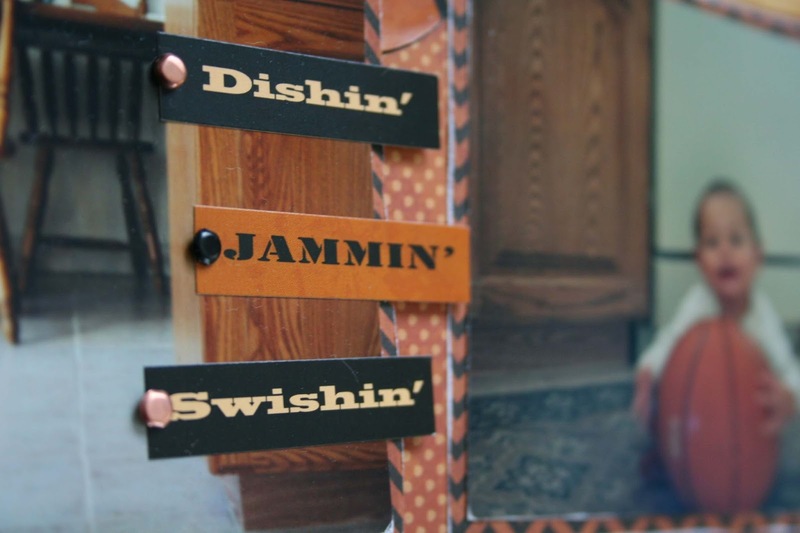 Now for some Basketball projects! Who doesn't have a few pictures like these, right? 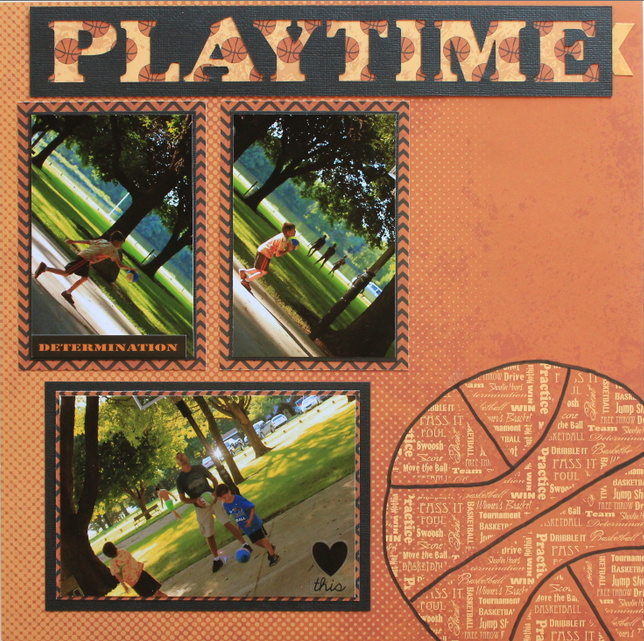 This fun Hot Shot layout is by Muse Samantha Taylor. She has a real clean design that keeps the focus on the photos. I really love the little enamel dots she added. 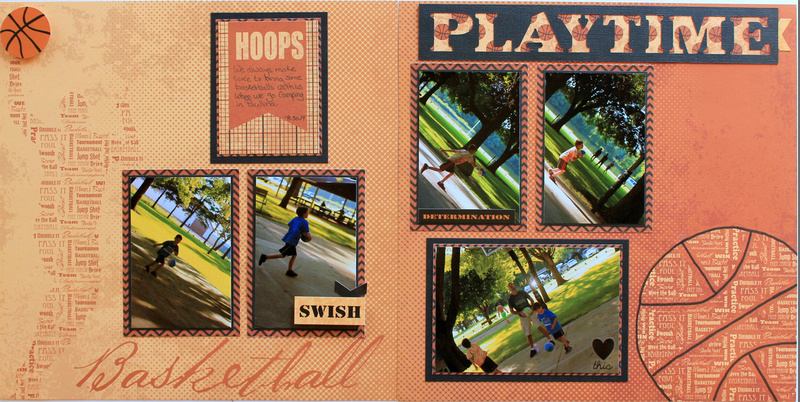 This Basketball layout by Muse Amy Allred has so many fun details. Her layered borders along the top and then the layered banner stickers at the bottom really bring the eye around the page. My favorite thing is the way she added her son's medal to the layout. 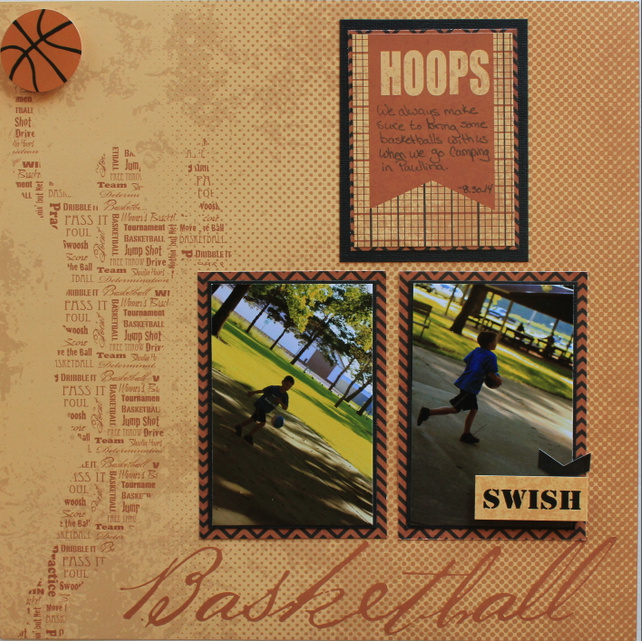 Our final project for today is this cute Basketball Card by Muse Daniella Hayes. Adding the lattice background was a clever way to repeat the net design. I love the way she bling-ed it up w/o making it too feminine. Have you entered to WIN one of these fabulous new lines? and play along with our monthly challenge here. See you tomorrow for more awesome highlights! If you're at CHA stop by the Moxxie booth #2859. If you couldn't be there, would you like to see some pictures? Here it is all set up and ready to go! Up on the wall are all the patterned papers, cardstock stickers and alpha cardstock stickers on display as the fantastic eye candy! Along with the lines are many samples made by our wonderful design team of Muses. I'm sure they scored some points with this awesome Basketball line! And look at that adorable bouncy baby boy! Who could resist? You can see some of the gorgeous Faith and Tiny Dancer lines here along with some awesome projects. The colors of both of these lines have been a really big hit with our customers and the patterns are super easy and fun to use. Here we have some samples from the wonderful Winterland line! The frosted feel of this line is perfect for giving your layout that bit of chill you feel in the air this time of year. Or whenever your child starts singing the Disney song Frozen. lol This line would be awesome for party invites and decor! Our Fun Run line has been very popular too! I know a lot of people running races lately, they are all the rage. Running is the perfect way to have fun and be fit and this line will document every step for you! Wishing for some hint of warmth in a Springtime breeze? Me too and this line delivers! With brightly colored birds, wispy dandelions and fluttering butterflies, this line will warm your pages with the promise of summer and growth. There is high demand for the elegant Winery line! You can sit back, relax and taste the beauty in this line, while sipping on a glass of your favorite wine. It is simply divine. Don't forget the scrapbooker! 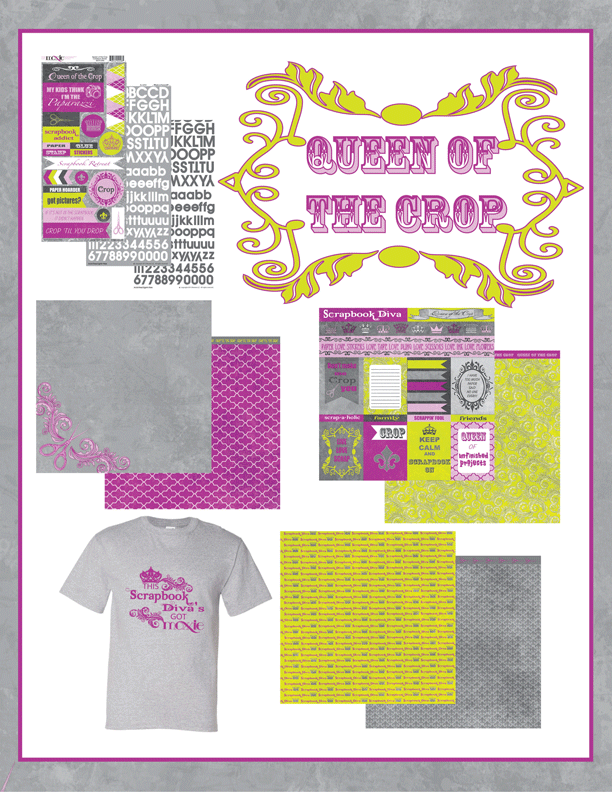 This Queen of the Crop line is complete with everything you need to document YOU documenting. It even has this fabulous matching Diva t-shirt! Last but not least I leave you with some Happy customers! Queen of the Crop t-shirts! Remember to ask for these lines at your favorite retail sites! You can also enter to WIN one of these fun lines by commenting on our Hop post or entering our Challenge. Thanks so much for joining us for Moxxie's 2015 Winter Release Hop! We are SO excited to share all of these fabulous NEW lines with you!! While the boss is away at CHA we thought we'd show you some of the fantastic projects our amazing Muses have already created using these wonderful lines. You will be able to hop to each muse's blog to see all the details about their project and the entire line that they used for their project. Don't forget to leave comments along the way. The more you comment the better chances you have to WIN! You can also link an entry into our monthly challenge for a chance to WIN! Your choice of one of our brand NEW lines!! Commenting and Challenge end Jan 31st. Winner announced Mon. Feb 2nd.